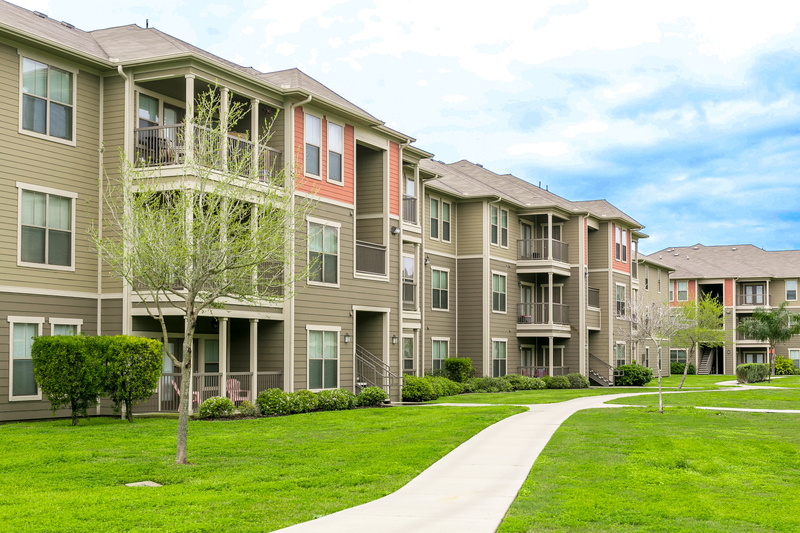 Reserve at Saratoga is a Class A apartment community located in Corpus Christi, Texas. Reserve at Saratoga was constructed in 2006 and is comprised of 274 units. The property contains a resort style swimming pool, outdoor kitchen, business center, courtyard, fitness center, attached and detached garages (137 in total), an indoor basketball court, coffee bar, gated access, 329 open parking spaces, and 125 carports. Consisting of 12 three-story residential buildings with stone facade and Hardie Plank exteriors, Reserve at Saratoga spans 14.8 acres and a combined gross building area of 228,582 square feet. All buildings have pitched roofs and all units have individual HVAC and hot water heaters. Reserve at Saratoga has an attractively distributed unit mix of 156 1BD units, 106 2BD units and 12 3BD units. All units include Energy Star black appliances, 9-ft ceilings with crown molding, patios, washer/dryer connections, valet trash pickup and extra storage space. Renovated units include granite countertops, faux wood plank flooring, stainless sink faucets, contemporary bar lights, framed bathroom mirror and curved shower curtain rods.